You look around to see what everyone else is doing and you find yourself comparing yourself to people, who you may secretly believe aren’t as talented or as special. All the talent in the world is worthless if you don’t do the work to monetize your gifts, talents, and blessing. The secret to finding true wealth doesn’t come from any external source. It doesn’t require you to wait for someone else. Everything you need to make the money you want to make, and become the person you want to be doesn’t come through you. It comes from within you. You must take your blessings, talents, and all the qualities that make you unique, then create the strategy and game plan, to make it all come to life. That means doing whatever it takes to become successful. Because your blessings mean nothing if you won’t take action, and do the work necessary to make it happen. THE ANSWER, IS ALWAYS, YOU. God’s given you the gift. And when you’re willing, take action, and invest in your business and vision, your wealth becomes a reality. As a trusted adviser to her clients, Maria empowers entrepreneurs, service professionals, and business owners to grow profitable businesses. Maria shows you how to make money without working yourself to death. 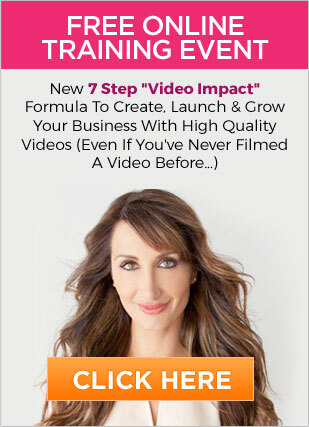 Discover how to automate your marketing and sales with tools like video, facebook live ™, webinars, and online digital programs, to create massive passive income. The truth is yes there are a lot of ways to make money, but why hustle when you can automate? Why hustle when you can have more time for what matters most.